The shop I had intended to sketch in Mosque Street was closed on Sunday which forced a rather pleasant stroll through the backstreets to the north of Chinatown. Amoy Street was completely deserted and provided plenty of shade from the rain and sun under the the 'five-foot passages' of the shophouses on each side of the road. 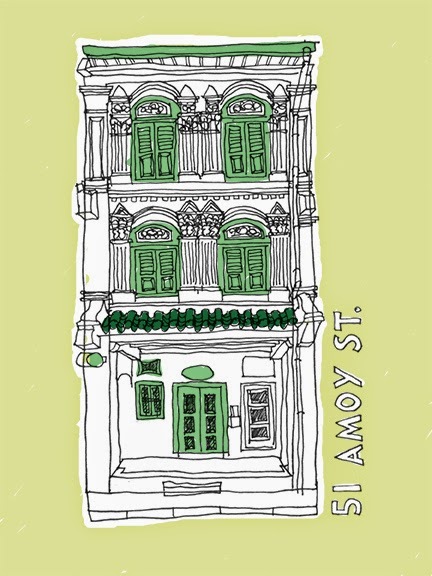 Having recently flicked though Mrs M's 'Singapore Shophouse' book by Julian Davison I'm really enjoying analysing the different styles. 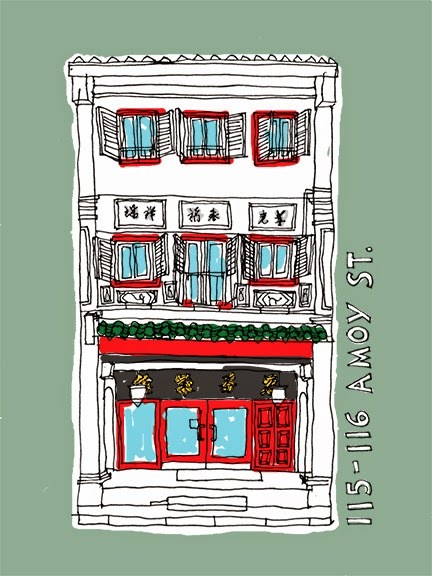 The friezes and characters on the wall of 115 Amoy Street are typical of the early Chinese style. The somewhat isolated building at 51 Amoy Street looks like the Baroque style with the distinctive triangular shapes on top of the two-stage classical pillars.